We live in a society where narcissistic behavior has become our norm, we have become a people who bask in the glory of self-love and success. We are the selfie generation, where ‘Living your best life’ isn’t just a saying but a mantra. But to add balance to our lives we are also very giving people. Our desire to better ourselves leads us to want to better those around us. Usually this betterment comes in the form of giving. And whilst we are often too busy to give of our time for a specific person or cause, we can give financially at the click of a button. Thanks to the convenient world of online crowd-funding platforms such as GoFundMe, you can donate money to help meet a need, anywhere in the world. But what if the cause or person you’re giving to, is scamming you? Can you ever trust a funding campaign again? 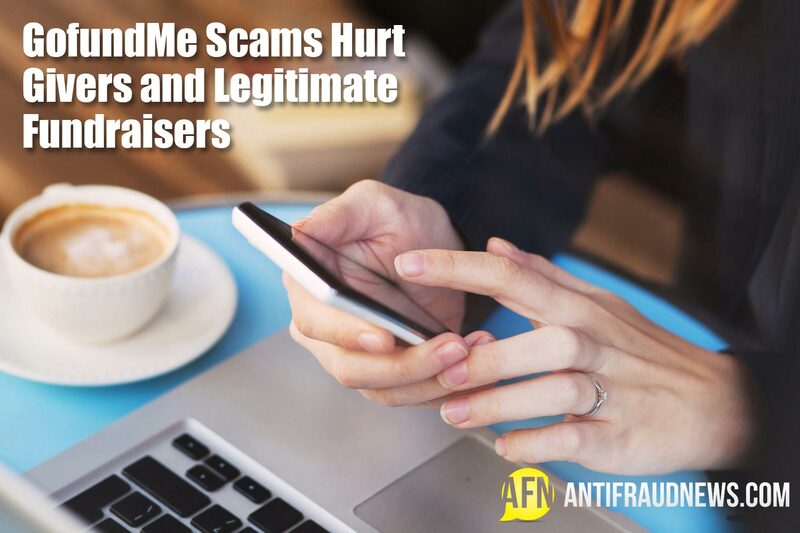 GoFundMe scams have made victims not only of the givers – who feel robbed – but also of the organisations who continually must fight for funds to do legitimate work. How Do GoFundMe Scams Work? The online crowd-funding platform does help people raise money for various causes such as; sponsorships for mission trips, saving for a honeymoon, medical emergencies, and humanitarian aid. However, it can also act as a front for someone’s personal gain. Gofundme.com allows anyone with an internet connection to start a fundraising page for any cause, at any time. This means that if you’re an average Joe who wants to make money in a flash, and you’re persuasive enough, you can scam people into giving towards your “cause”. All you need to do – is make one up – and sound convincing about it. It’s an easy con. And the best part is that the people donating on this platform don’t receive proof or surety of the legitimacy of the fundraiser. Just recently a man in Faribault, Minnesota, was arrested and charged in a medical Gofundme scam where he generated $23,000 for his alleged terminal illness. Should I Bother Giving To A GofundMe Fundraiser At All? If you do have a burning desire to contribute to society and to better the lives of others, then don’t let the fear of crowd-funding scams get you down. Align yourselves with reputable organisations that are doing real work. This way, you are not falling prey to scammers and you are helping actual causes who need the money. And frankly, these NGOs are just as much the victims of the negative effects of these fraudulent scams. Why? Because once people are scammed by fake fundraisers and campaigns, distrust sets in and it’s hard to get them to give to a cause that really matters, and to people who are in desperate need of funding. What Legitimate Fundraisers Can I Give Towards? There are a plethora of campaigns or NGOs that would greatly appreciate your donations. Find one that appeals to your passions or interests. Then do your homework. Never take anything at face value. Check up on the organisation’s credentials. Research, research, research. Make sure that the campaign you’re funding has a system that can account for every cent given. That way you can have peace of mind that your giving is not in vain. If you’re still not sure what kind of organisations could be worth giving to, then opt for the ones that have been around for years and have a proven track record for being authentic. We are not saying that you can never donate or give towards crowd-funding platforms such as GoFundMe. But what we are saying is – be vigilant. Avoid scams by doing your research and asking for proof or paperwork, so that you know that your finances are accounted for. Whilst the adage rings true that “It’s better to give than to receive”, in today’s day and age another adage is just as true, “it is better to be safe than sorry”.